Timothy Snyder is the Housum Professor of History at Yale University and a permanent fellow at the Institute for Human Sciences in Vienna. He received his doctorate from the University of Oxford in 1997, where he was a British Marshall Scholar. Before joining the faculty at Yale in 2001, he held fellowships in Paris, Vienna, and Warsaw, and an Academy Scholarship at Harvard. He has spent some ten years in Europe, and speaks five and reads ten European languages. 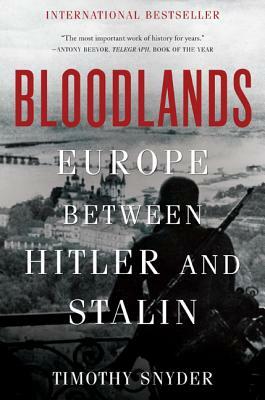 Among his publications are several award-winning books, all of which have been translated: Nationalism, Marxism, and Modern Central Europe: A Biography of Kazimierz Kelles-Krauz (1998, revised edition 2016); The Reconstruction of Nations: Poland, Ukraine, Lithuania, Belarus, 1569-1999 (2003); Sketches from a Secret War: A Polish Artist's Mission to Liberate Soviet Ukraine (2005); The Red Prince: The Secret Lives of a Habsburg Archduke (2008); On Tyranny (2017); and The Road to Unfreedom (2018). He has written for publications including the New York Review of Books, the New York Times, Foreign Affairs, the Times Literary Supplement, Nation, The New Republic, the International Herald Tribune, and the Wall Street Journal.